These tacos are great for two reasons. First, they are cooked in a slow cooker, which means you can turn them on when you leave house in the morning and they’ll be ready when you come home. Second, they taste really authentic and fresh. 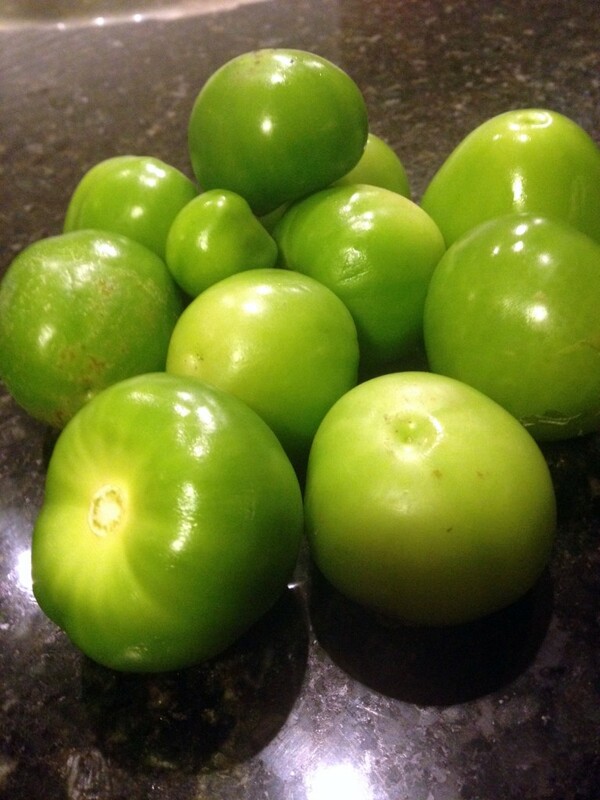 The tomatillos have such a bright flavor which pairs really well with a little spice, corn tortillas, juicy chicken and fresh pico de gallo. It’s like your favorite Mexican restaurant right in your own kitchen – made by you! Fresh tomatillos make up the base of this recipe. Remove the husk, rinse and then cut into quarters. This salsa would be great with chips. It takes about 5 minutes to make. And it’s delicious. 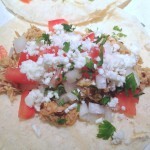 Slow Cooker Chicken Tomatillo Tacos. Puree tomatillos, onion, garlic, chipotle peppers, jalapeno, serrano, cumin, salt and pepper in a blender with about 1/4 cup of water until smooth. Place 1/2 cup aside. 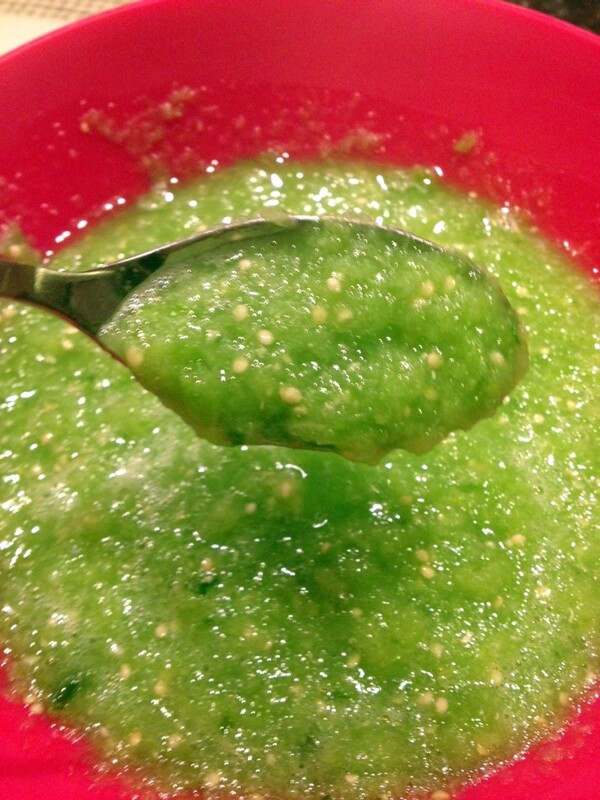 Place chicken thighs in slow cooker and pour tomatillo salsa over the top, except the 1/2 cup you set aside. Cook on low for 4 – 6 hours until chicken is cooked throughout. Drain excess water and shred chicken. Toss shredded chicken with remaining 1/2 cup of tomatillo salsa. Warm corn tortillas in a pan for a seconds over medium-high heat. 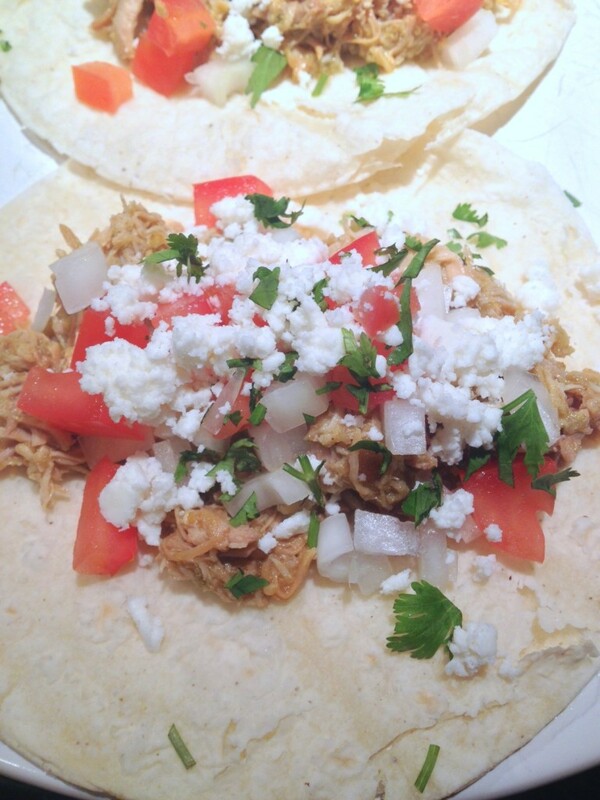 Place chicken on tortillas, top with queso fresco, white onion, cilantro, tomatoes and sour cream.